After months of rumors, whispers, impatient foot-stomping, and a major Hollywood remake, the Dawn of the Dead: Ultimate Edition DVD is finally out. And oh boy, is this worth the dough. I've had to watch Dawn over and over in reviewing this DVD set, and let me say this: it never gets old. It never gets tired. I never get sick of it. There's so much to take in and digest. Romero, never fond of being pigeonholed, makes a film that works as a horror film, an action-adventure romp, a consumer satire, and a human tragedy. At every turn, he's finding some new way to tell the story while remaining true to the very heart of drama - sympathetic protagonists with fatal flaws. The effortlessness with which the Dawn actors essay their roles is easy to miss; modern "common sense" tells us that great acting is overwrought and very noticeable. However, none of the four main actors here are attempting Shakespeare or Ibsen. They're simply inhabiting a world. Of course they look comfortable playing those characters; they've become the characters. You'd never get performances like this out of a major star, or if you did, it would be hard to separate them from the person themselves. This is the kind of acting that only unknowns can do. And it's lovely. Tom Savini's gore effects are so incredible that it would be seven years (in Day of the Dead) before he could create something more stunning. Heads explode, machetes go through skull, a screwdriver is plunged into a zombie brain... Lots and lots of goodies, and you never once see him or Romero backing away from it. The zombie makeup, however, leaves something to be desired. The fake blood (manufactured by 3M) has a bizarre consistency (like paint) and an even worse color (somewhat corrected in the Ultimate Edition). The pancake gray makeup becomes a different shade, depending on the lighting, and none of those shades are a dead shade. No pamphlets, no blessings, just flesh-eating. As you may have noticed, this is one of my favorite films of all time, and I was delighted to review the multiple hours of Dawn of the Dead fun that came in this set. The Ultimate Edition is spread over four discs. Disc One contains the theatrical cut, Disc Two has the extended Cannes cut, and Disc Three houses Dario Argento's European cut of the film. Disc Four is documentaries and other effluvia. If you have Anchor Bay's previous Dawn release, you can pretty much skip this disc. It's essentially the same thing with a different menu. However, this does not detract from the fact that it is a beautiful rendering of a classic film. Dawn of the Dead is a very colorful film, and the Divimax transfer brings it out in style. The visuals are crisp, clean, and completely non-distracting. An excellent use of DVD's capabilities. The audio options are... breathtaking. I almost felt undeserving of so many options. You can listen to Dawn in 5.1 DTS Surround (the preferred, but you need a decoder), 5.1 Dolby Surround, 2.0 Dolby Surround, and for the old school Dawn fan, original mono. This disc houses most of the advertising for the film's domestic release, including theatrical trailers, and television & radio spots. There's also a good text bio of Romero. Romero sits with his wife Chris and makeup artist Savini for the commentary track. They discuss the film itself at the beginning mostly, but as the track progresses, they start wandering off to other topics, like the fame of the film and the possibility of a fourth Dead movie (this track was recorded before Land of the Dead was announced). Moderator Perry Martin runs the track like an interview session, which has its pros and cons. On the one hand, Romero does discuss things that wouldn't normally come up in a commentary track. On the other, it does pull away from the film quite a bit, and sometimes it doesn't feel like a commentary on Dawn at all (except when Chris points out a zombie and says, "Oh, hey, that's so-and-so, remember him?" and George and Tom spend a minute sharing recollections about that particular guy). One annoyance that all three of the film discs share is that they continue Anchor Bay's long tradition of not including subtitles of any kind on films made in English. On films with a commentary track, captioning is almost mandatory, as it can be difficult to follow the film being discussed otherwise. All told, a solid representation of what I consider to be the best version of the movie. This is the cut I've been most familiar with down the ages, as a younger and less horror-educated version of myself saw the words "Director's Cut" and thought that, yes, this must be the One True Vision of George A. Romero. It isn't. 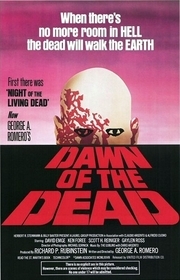 As Romero states in his commentary on Disc One, the theatrical version is his preferred. The Cannes cut was hastily thrown together to be shown at the film festival. Romero's later cutting of it reflected artistic preferences, and not bowing to pressure as common video market sense would assume. While watching all the extra footage in the Cannes cut is an interesting experience, ultimately, it's really not hard to guess why it was all cut. The pacing just feels a little off. While the film never gets boring, per se, there are moments when I did wish it would just get on with it (especially with that unnecessarily comic scene with the cops at the police dock - cute, nice to see Joe Pilato before Day of the Dead, but who cares?). As if to acknowledge that this version is merely a curiosity in the Dawn experience, Anchor Bay chose not to include multiple audio options as with the other two edits. The Cannes cut is presented only in its original mono. It's a very clean and crisp track, but it's still only mono. Dawn producer Richard Rubinstein provides the commentary on this track (moderated by Perry Martin). Initially, it appears that the track is going to be a bore when it appears Rubinstein has a difficult time recalling details behind the genesis of the film, but quickly he finds his niche and provides one of the most surprisingly informative commentary tracks in quite a while. Rarely do we get to hear the background details of a film relayed with such passion and detail as Rubinstein does here. This is what he's good at - supporting other people's creativity, and he has a lot to say on the subject. He talks about the partnership he shared with Romero, the sports documentaries they made together, how he got the money together, and the fact that the commonly believed figure for Dawn's budget was a fabrication he concocted as a bargaining tool. He has an odd ability to be both diplomatic and very frank at the same time. Even though he tries his very best not to disparage Argento's cut of the movie, it becomes quite apparent that he is not a fan of it. He has no apologies, however, for the reasons behind the split between he and Romero, even though he continues to express a lot of warm feelings for the man. He also defends his decision to remake Dawn, and while the move feels no less crass in its commercialism, it does seem more honest. The Cannes cut's a neat treat for fans who have to get as much Dawn footage as they possible can, but I don't find it to be anything more than that. I won't argue against its enjoyability, but with the theatrical version sitting right next door, this particular disc is probably not going to see much play (although I may give the Rubinstein commentary another listen). I watched Argento's cut first as it was the only one I had never seen. Wow. A completely different film. Bleaker, faster, and running on sheer horrific momentum. Most reviews call it more action-oriented, and on one level that's true. The music presses the film forward, the editing makes certain scenes more urgently violent, even though it's essentially the same footage as Romero was working with (with a few minor additions). The Goblin music is much more prevalent here, and the stock music cues of the theatrical edition are completely gone. I couldn't help but marvel at how something as simple as changing the background music could change the tone of the entire film. More lighthearted moments become almost ironic in their nihilism as the synthesized bass pounds in the background, and the goofiness of the library tracks is wiped from the overall mood. The European version is a good nine minutes shorter than Romero's theatrical cut, and you feel a lot of the cuts. Argento's not terribly interested in Romero's multi-genre sensibilities. He cuts away anything that's not driving the story forward, creating a relentless momentum that makes the horror feel all the more inevitable. It's a commendable film for that, but it does take away some of the human element. Interestingly, for such an adrenaline-driven edit, Argento's Dawn actually cuts out a lot of major action and gore sequences, including the infamous helicopter zombie. The pacing just hurtles on, moving to the next plot point in streamlined fashion. Unfortunately, Argento's love for the non sequitur edit creeps in on occasion. What works in Dario's films doesn't in George's. Having seen the American cut more than a few times, I knew what happened when the movie jumped from one thing to another without explanation. However, this is not the version I would show a first-time Dawn watcher. The extras on Disc Three are pretty much the International flavor of the Disc One extras. There's trailers from around the world and a Dario Argento bio. The audio is much the same as the Theatrical version, minus a DTS track. If I had to name a single major misstep this set makes, it's putting the cast commentary (featuring all four leads reunited for the first time in years) on the European version. All too often, the group will start talking very excitedly about a favorite sequence that simply never comes. It's obvious none of them are familiar with this version of the movie; they would have been much better off talking over the Cannes cut, which probably wouldn't have yanked any good scenes from under them. As for the commentary itself, it's nice enough. The four of them have a good rapport. Ken Foree takes it upon himself to be the leader of the pack, tossing off questions and mocking his weight gain since those days. Gaylen Ross keeps cracking the same joke about how none of them have aged a day since Dawn, honestly. It's fun and kind of goofy, but ultimately not terribly informational. If you needed just one reason to buy this disc, the Argento cut is it. It has its own charm and identity that lends itself to rewatching. With the three versions together, you have a movie to watch no matter what your mood. People looking for something that charges ahead, relentless and cruel, will find that the European version will fit that bill. This is the platter with the documentaries. The first one is the brand new The Dead Will Walk, which features interviews with nearly everybody involved with the project, right down to specific zombies (although producer Richard Rubinstein is conspicuously absent). This is a really fascinating look at the project from its origins on up, and really kind of encapsulates the Dawn experience. There is some repeated information from the commentary on the first disc (specifically, Tom Savini's information is a virtual carbon copy, down to the specific vocal inflection - these are obviously stories he's told often), but for the most part, it's a lot of fun to watch, and very informative. 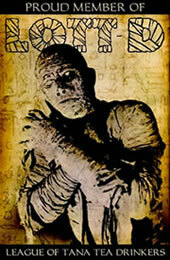 Roy Frumkes' Document of the Dead is also included (and that will garner a separate review at a later date). The Monroeville Mall Tour is a bit of a disappointment - it's a reunion for cast and crew, but it's shot on a handheld camcorder. The man behind the camera keeps making some pretty fanboyish commentary, and I ended up shutting the feature off after a few minutes. The Dawn of the Dead: Ultimate Edition DVD set is probably the height of all releases for the film. I can't imagine what Anchor Bay would have to do to make something better than this (which is a good thing, because they do have that habit of releasing multiple versions of the same film), and frankly, I'm not sure I care. There's over 13 hours worth of viewing goodness in this package, and that's enough for me. No zombie fan should be without this. Filmed in Monroeville Mall in Monroeville, PA. Filming usually started around 10 PM, right after the mall closed. It ended at 6, not because the mall opened (it didn't until 9), but because the Muzak would turn on, and nobody knew how to shut it off. Producer Dario Argento agreed to put up half of the budget in exchange for distribution rights in non-English speaking countries. He recut the film and added a new score by Goblin. Submitted by Matt Majeski on Tue, 2011-11-01 12:10. The guy behind the camera is actually Greg Nicotero. Submitted by Jay516 (not verified) on Tue, 2012-10-16 19:02. One of the best horror movies i've ever seen!!!! Submitted by Anonymous (not verified) on Sun, 2013-10-06 22:59. Agree 100% on everything, especially the decision to put the cast on the Argento cut. 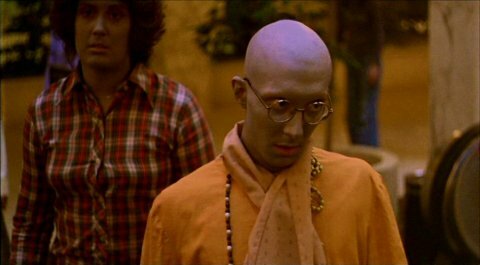 Rubenstein would have been much better on the Argento version. If you're going to pull the four leads together for a commentary for the first time in years, why not put them on the longest version?